The team at The Great Tythe Barn were incredibly accommodating and professional to deal with. A pleasure to work with during the planning stages and very accommodating on the day itself. The barn gave us a really flexible space to work with, both inside and out. We will certainly use The Great Tythe Barn again for future events. and so much of that was down to you run it so smoothly. 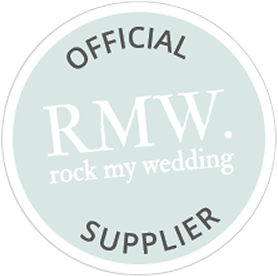 We can’t give you all enough praise and thanks – Great venue, seamless service and just in general you been so lovely to work with. We want another excuse for a party now! Thank you. We wanted to drop you all a note to say a huge thank you for doing such an amazing job in the lead up to and on the day of our wedding last week. Overall we could not have picked any better venue and catering supplier for our wedding, you are all amazing and we can’t wait to come back for a visit. We are encouraging one of the bridesmaids to get married at the Great Tythe Barn so we can come back and do it all again! Best wedding ever! Our guests have said this too. Extremely good value, lovely people and gorgeous setting we could not recommend it enough. We wanted to say a big thank you for all your hard work and help leading up to the wedding and on the day too. The barn looked absolutely amazing, is was perfect, just the way I wanted. The guests thought the venue was beautiful, a lot has never been to a wedding in a barn and were really taken a back. With all the staff at the barn we have all felt that nothing was ever too much trouble, and always wanted to help. So thank you for helping our day to be a special one. Thank you so much from the bottom on my heart for tireless work, planning, reassuring wisdom and greatest care you put into action for my son Phil and new daughter in law Sarah’s wedding day. It was totally perfect and want to say a huge thank you to each and every one of you. Thank you all so, much for what you did for our special day. Everything about the venue was truly perfect. Thanks for all your help leading up to and on our wedding day, answering all our questions and being incredibly supportive to us both. We couldn’t have done it without you. You are an amazing team. We are writing to say THANK YOU so much for everything that you, Lauren, Lisa and all the staff did for our civil partnership. You worked so hard to make it wonderful for us, we couldn’t have asked for anything more. 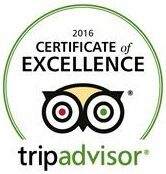 We had the greatest day in the greatest venue, all of our guests have commented on how much they enjoyed it. The Barn, the Tythe House and grounds are the perfect place for a wedding and the staff were simply outstanding. I just wanted to say a MASSIVE thank you to you and the team for looking after Dean and I so well on our wedding day. The day was just as we had hoped and wished for. It helped that the sun was shining too! Lauren you were so lovely and calming when I ended up being 10 minutes late. Your friendly smiling face and assurances throughout the day were just what was needed. You are a great asset to the team there. The Tythe barn is a truly stunning venue and I am so happy that we chose you for our special day. We would love to hear from you! To arrange a viewing or for any other enquiries please use the form below contact one of our Event Co-ordinators. Viewings are strictly by appointments only. Viewings can be arranged Monday – Friday 9-5 as well as Saturday and Sunday mornings.